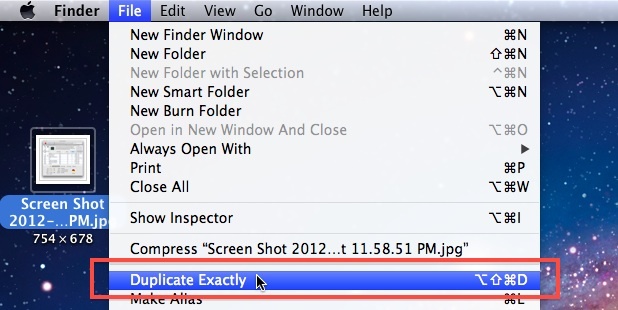 Modern versions of Mac OS X include a nice new ability to be able to duplicate and paste files exactly. Basically this means that if a file is owned by another user, Duplicate Exactly and Paste Exactly will preserve the files original ownership and permissions, rather than copy the file with the current user becoming the new owner. This is a useful feature for administrators, network admins, file sharing, and multi-use Macs, but it has other helpful purposes as well. Let’s cover how to use the Duplicate Exactly and Paste Exactly features in Mac OS. 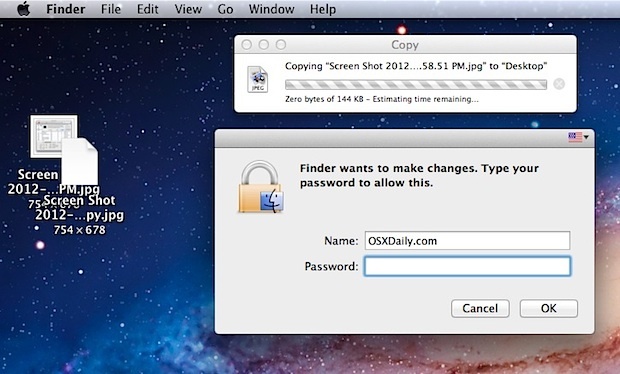 Duplicate Exactly is accessed through the Finder. Select a file or folder within the Finder and hit Command+Option+Shift+D to perform an exact duplication. You will be presented with a window to authenticate the copy to allow the ownership state to maintain consistency. The duplicate will be placed alongside the original, maintaining ownership integrity. You can also access “Duplicate Exactly” through the Finder “File” menu by holding down the Option/Alt key. Similarly, there is also a new feature that lets you Paste Exactly, maintaining the same ownership and permissions when using cut and paste in the Mac OS X Finder. Paste Exactly is accessed through the Finder file system, and is activated with Command+Shift+Option+V after a file or folder has already been placed in the clipboard buffer. You can also access “Paste Exactly” through the Finder “File” menu by holding down the Option/Alt key when pulling down the menu options. These two tips are geared for more advanced users and administrators who are altering another users files or directories. Try them out the next time you are editing another users files or folders, and save yourself a potential headache if the file or directory permissions change. Note that the Duplicate Exactly and Paste Exactly features require a Mac OS or Mac OS X release beyond 10.8, and all newer versions of system software will support the capabilities.